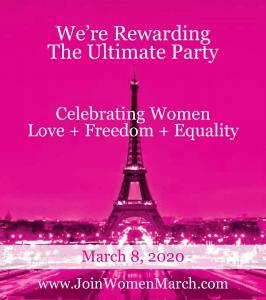 SANTA MONICA, CA, UNITED STATES, April 16, 2019 /EINPresswire.com/ -- Recruiting for Good a socially progressive staffing agency is rewarding referrals with Exclusive Mom Daughter Europe Trips to Celebrate International Women's Day March 8, 2020. 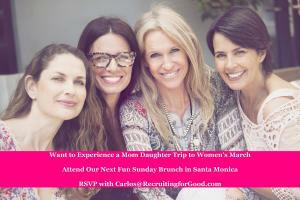 We're meeting moms for Fun Sunday Brunch in Santa Monica to answer questions. According to Recruiting for Good, Founder Carlos Cymerman, “Participate in our staffing agency to Join Women March in Dublin, Paris, and Rome; we're only rewarding 5 trips, per city. Share a once in a lifetime experience with your daughter...and see the world for good. 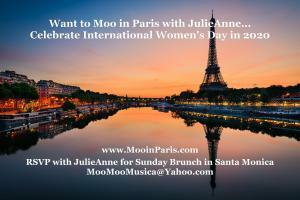 Are you a Moo Mom?...Join JulieAnne for a special All-Inclusive Moo Mom Daughter Trip to Paris."